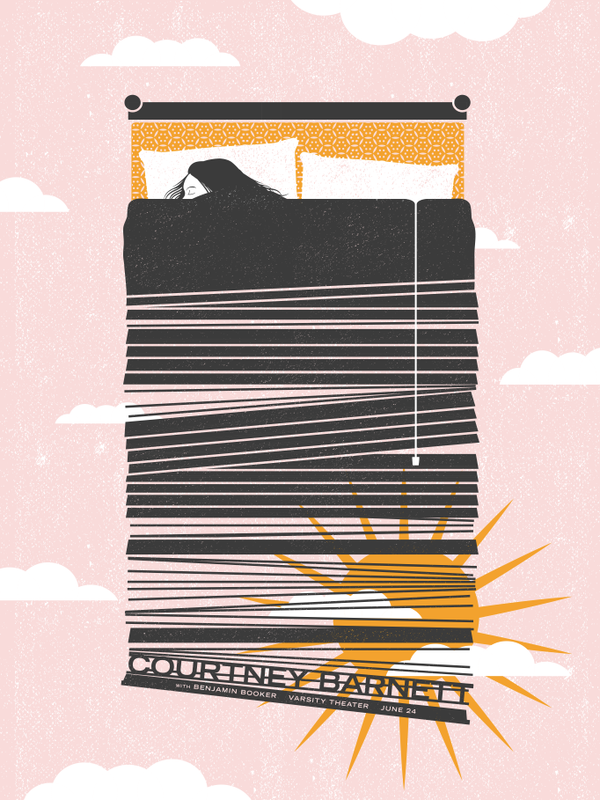 I was fortunate to work with Courtney Barnett on another poster, this time for her short tour of the US and Canada. The design was inspired by her latest album, “Sometimes I Sit and Think, and Sometimes I Just Sit. 18 x 24 five color screen print on light green stock. Courtney Barnett and The War on Drugs posters in HOW! 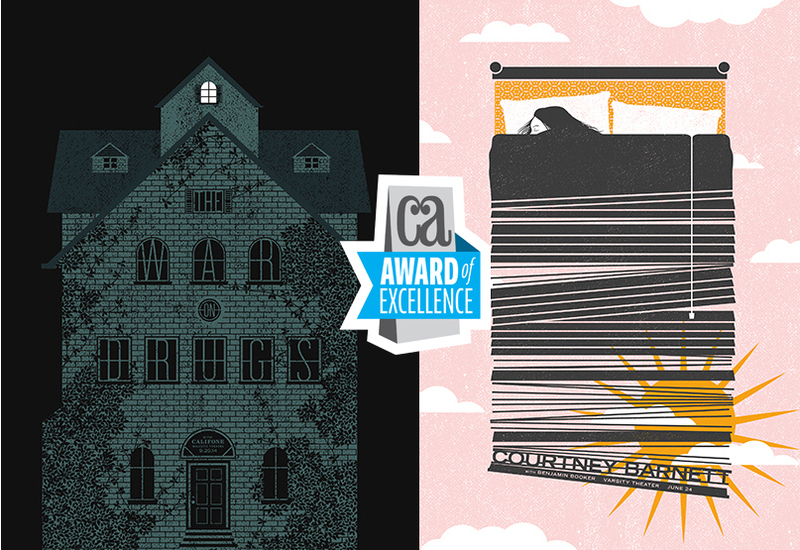 I am extremely honored to have both my posters for Courtney Barnett and The War on Drugs to be included in this year’s HOW International Design Annual. 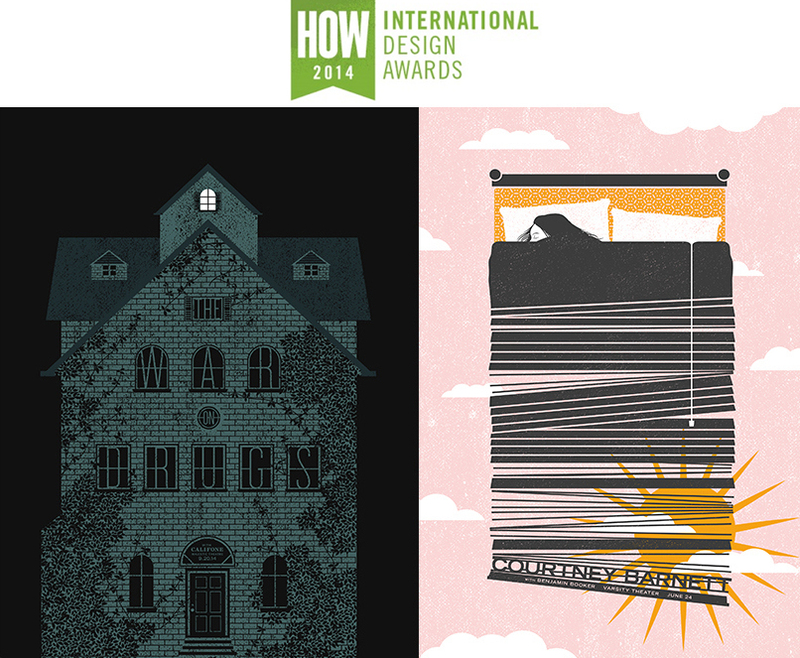 The annual includes some of the best graphic design from around the world this the past year. The Courtney Barnett print is sold out but a handful of The War on Drugs prints are available in my etsy shop. 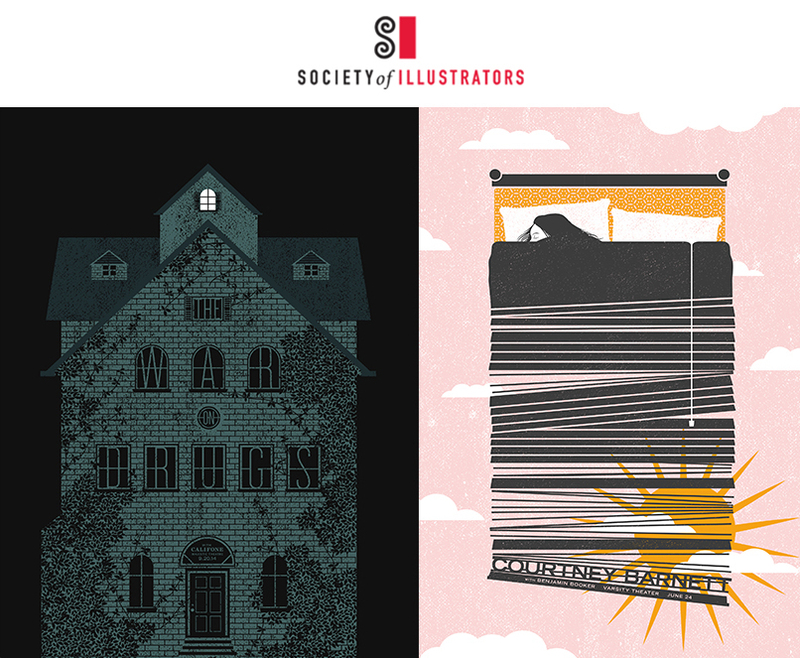 My posters for The War on Drugs and Courtney Barnett were included in Society of Illustrators 57 exhibition and annual. Needless to say, it’s quite an honor to be included among so many incredibly smart and talented world class illustrators.